Duco Events, promoter of WBO heavyweight champion Joseph Parker, is dismayed by the appointment of a ‘home town’ referee for the mandatory challenge by Hughie Fury in Manchester on September 23. The British Boxing Board of Control (BBBoC) has appointed British referee Terry O’Connor – the same official in charge of Hughie Fury’s last two bouts – to control the fight. “We’re frankly appalled by this. We have petitioned the BBBoC multiple times to see sense but to no avail. Serious questions need to be asked of the BBBoC,” Duco Events director David Higgins said. A written request from the WBO to the BBBoC to follow its guidelines with regard to the neutrality of officials for world championship bouts has also been rejected. “This appointment of ‘home town’ officials contravenes the WBO’s guidelines that officials should be neutral, and clearly leaves the contest open to speculation about bias and impropriety,” Mr Higgins said. “WBO president Paco Valcárcel wrote to the BBBoC politely requesting that ‘the same procedure applied by the British Boxing Board of Control in the Anthony Joshua versus Wladimir Klitschko bout, should be used on this occasion’. “Inexplicably the BBBoC has ignored that. This is disgraceful,” said Higgins. Mr Higgins said the appointment of a referee who has controlled Fury’s last two fights breached the fight contract. “It’s entirely contrary to the spirit of the deal and the letter of the contract struck with Hennessy Sports for the title fight, the governing principal being that it would be a fair fight. 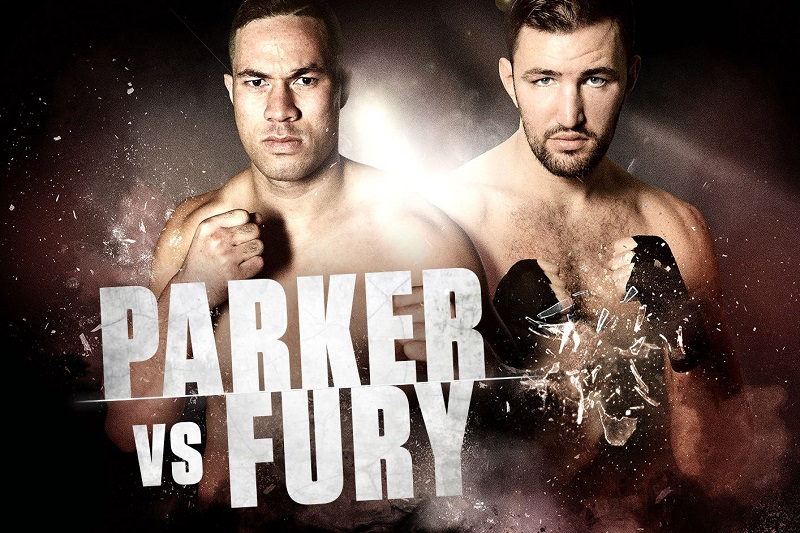 “The entire world knows that Hughie Fury is going to run away from Joseph Parker, clinch, elbow, headbutt and do whatever he can to steal a result. Having a referee with whom he is familiar clearly provides an unfair advantage. “Mr O’Connor refereed Hughie Fury’s last two fights, so it is patently inappropriate for him to have any influence over this world title fight. Mr Higgins said Duco Events had lobbied BBBoC successfully to have a New Zealander added to the judging panel to balance the presence of a British judge, however the BBBoC had refused repeated requests to appoint a neutral referee. WBO guidelines state that for a world title fight officials should be ‘not the same nationality or place of residence or origin of the Champion or the Challenger(s), or of their respective agents’. “BBBoC has the final say over the appointment of officials for this fight and we want to know why they have ignored the WBO’s quite sensible guidelines,” Mr Higgins said. What is the reason BBBoC does not want a neutral referee for Parker vs Fury? Why is BBBoC going against the contractual agreement and wishes of both camps, when it could just as easily select a neutral referee? Would it improve the perception and credibility of boxing if neutral officials handled world title fights as per WBO guidelines? Is the BBBoC aware of the Fury camp’s views on the nationality of the officials and does it take that into consideration? Joshua v Klitschko was officiated by neutral officials. Why is there such a glaring inconsistency with this world title fight?